The Shire UK ADHD team identified that they needed to create a clearer vision and strategy to realise their ambition of being the leader in ADHD, respected by clinicians, patients, families and ADHD other support functions. 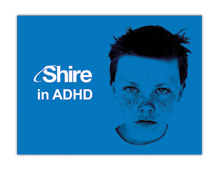 Shire has an industry-leading portfolio of existing and new medicines in ADHD but believed it could improve the depth and breadth of ADHD Opinion Leader (OL) relationships, insights and some internal capabilities to realise this ambition. Shire’s corporate mission is ‘To be as brave as the people we help’ and the Shire UK ADHD team has taken a completely new approach to creating strategies and programmes in ADHD which are co-created and led by customers with a view to realising benefits for physicians, improved patient outcomes as well as supporting the commercial aims of the Shire ADHD business unit. Quite simply, the Shire UK ADHD team stopped using ‘industry speak’ when working with ADHD physicians, stopped telling and started listening and created a whole new way of working to engage with the UK ADHD community as a respected, trusted stakeholder albeit with transparent commercial goals. 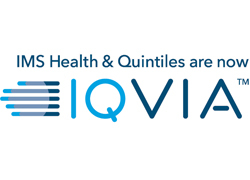 This campaign clearly demonstrated the extent that gaining good qualitative insights can impact on marketing activities and also how a company is viewed by KOLs. Good co-creation of strategy and programmes.